They also included a coupon for £5 off any Unilever product (apparently they own Knorr). 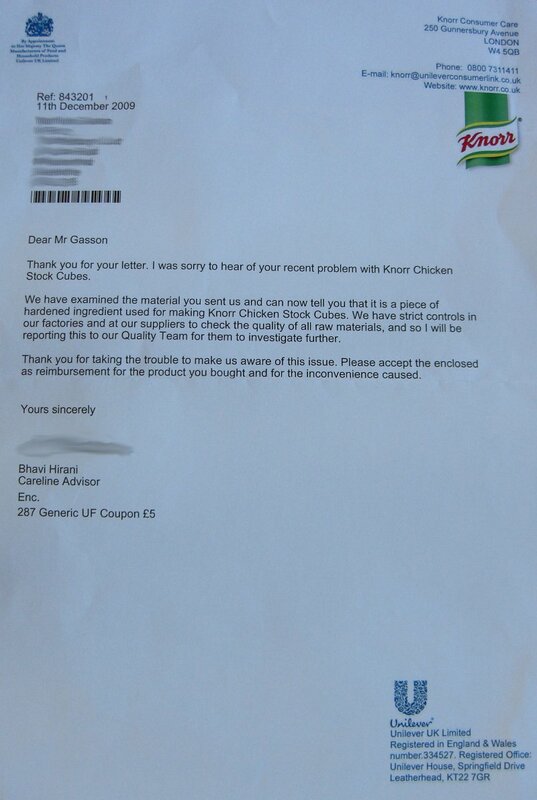 I am extremely satisfied with this outcome – well done Knorr! I heartily recommended their stock cubes and related products. blodgett have to say, that is rather good. 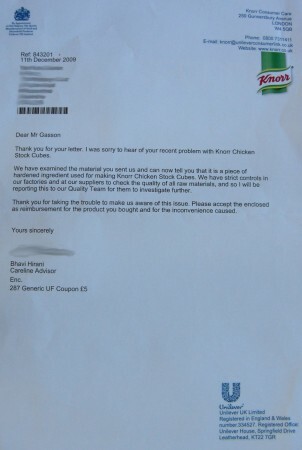 one grudge though – knorr stock cubes not actually cubes! false advertising!